The modern world is a very busy place where time is precious and the opportunity for a quite reflective moment is hard to find. Gardens, parks and the countryside are ideal places to allow some respite from all the demands put in front of us. But do you make the most of that visit? Silent Space allocates a designated area in a garden to simply be silent. Within that period of silence, whether it is a few minutes or longer, is the chance to relax and reflect. All you need to do is turn any phones to silent stop talking and allow a personal ‘me’ moment. Here at Newby we have selected Sylvia’s Garden as our permanent Silent Space, it is the perfect location. Enclosed by yew hedging, it provides a peaceful and reflective space – ideal for grasping a spell away from the pressures of a busy life. The planting is soft within the sunken formal structure of the paths and beds. Take the opportunity to sit on the south-facing seat or on one of the many corner pillars immersed among the flowers. 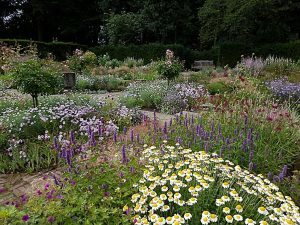 In addition to the regular Silent Space in Sylvia’s Garden, as the seasons change, we will suggest another area within the garden that is offering a particularly reflective atmosphere. 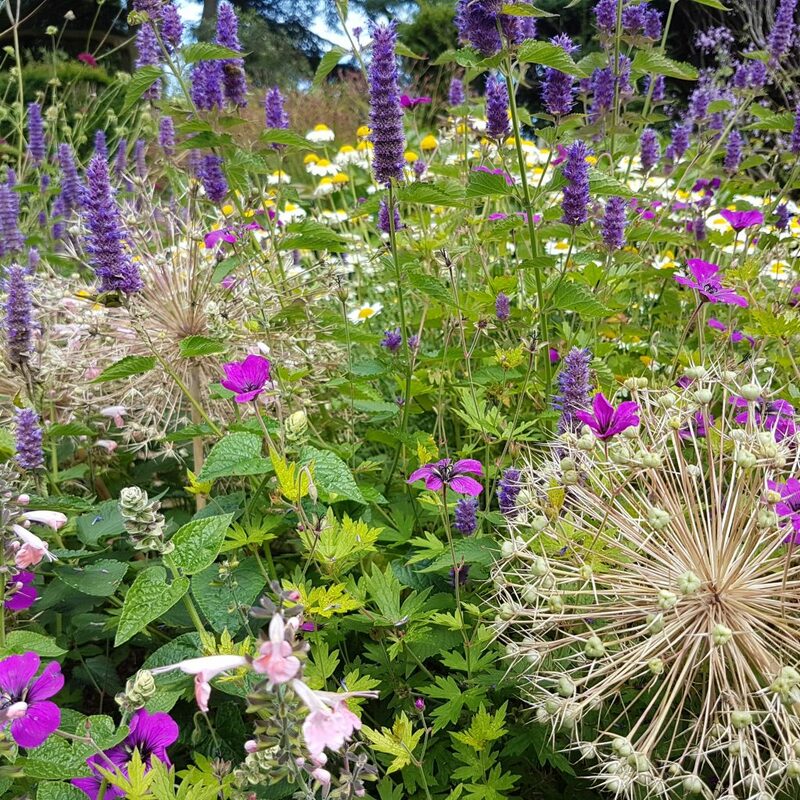 Keep an eye on the Garden News posts on the website from April to September as we choose a location that is perfect for experiencing a quiet moment.